Johnny Lee Miller simulator sim Exapunks is the newest puzzle game from the makers of Opus Magnum. I’ve already told you how cool and hard it is. But I thought I’d pop by to show you the neat things players are making within this code-drenched alternative 1990s. 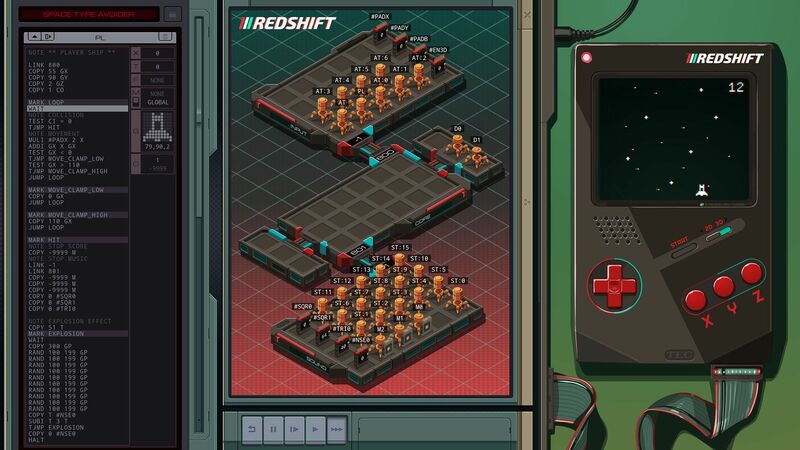 Y’see, there’s an in-game handheld console called the Red Shift, and since Zachtronics are known for their frighteningly-detailed hacking games, you can program your own games for this Game Boyish device (not to mention other nonsense). Then, if you like, you can send the cartridge to other players.